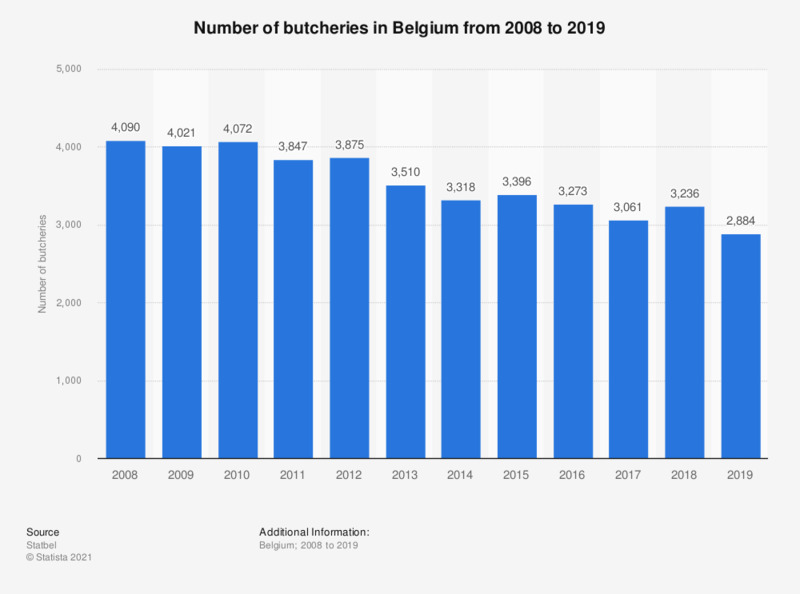 This statistic displays the total number of butcheries in Belgium from 2008 to 2016. In 2008, there were approximately 4,100 butcheries in Belgium. The next year, this decreased to roughly 4,020. In 2014, only 3,318 butcheries were left in Belgium. In 2016, the number of butcheries increased again, to nearly 3,300.